To view map, see: http://bl.ocks.org/d/af8dc36ebe81deb00e29bc2e96947aae. Dr. Radhakrishnan Nagar (R.K. Nagar) was with the DMK from 1977-89, but has been a stronghold of AIADMK since 2001.The constituency has around 2.5 lakh voters, majority of them belonging to the lower income groups. 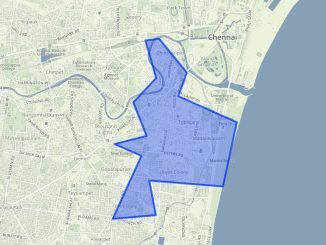 RK Nagar constituency includes Korukkupet, Tondiarpet, New Washermenpet, Jeeva Nagar, Cherian Nagar, Dr. Radhakrishnan Nagar, and Kumarasamy Nagar. 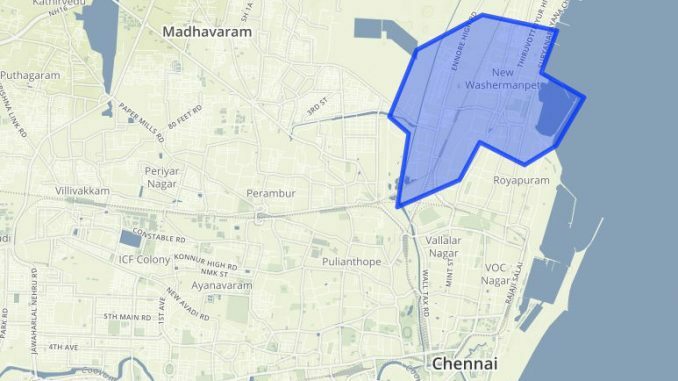 Despite all the buzz about being a high-profile constituency, civic issues including drinking water supply, healthcare, pollution, and sanitation remain the main concerns of residents in RK Nagar. Jayalalithaa J. is in the Chief Minister’s chair for the fifth time. Known as ‘Amma’ among her supporters, she is one of the popular actor-turned-politicians in Tamil Nadu. She had joined AIADMK in 1982, and had served as a Rajya Sabha member from 1984-89. She was elected as the CM of Tamil Nadu for the first time in 1991. In the next elections in 1996, AIADMK lost heavily, managing to win only four seats. In 2001, she was barred from contesting in elections as she was found guilty of criminal offences including obtaining property of a state government agency. However, AIADMK won the elections and made Jayalalithaa a non-elected member of the State Assembly. She went on to become the CM in May 2001, only to step down in September 2001. She was acquitted of criminal charges by the Madras High Court and she contested in the mid-term poll in Andipatti constituency. She was back as CM in March 2003 (2003-06), and was elected again in 2011. Jayalalithaa was convicted in the 18-year old disproportionate assets case in September 2014. She was sentenced to four years in prison and charged a fine of Rs. 100 crore. In October 2014, she was granted bail and the Supreme Court suspended her sentence. In May 2015, she was acquitted of all charges in the disproportionate assets case, and she was sworn in as CM again in June. P Vetrivel, who was elected as MLA of R.K. Nagar in 2011, stepped down to facilitate the re-entry of Jayalalithaa. She won the by-election in RK Nagar by defeating CPI candidate C. Mahendran by a margin of 1.5 lakh votes. She was also in judicial custody for 30 days for her alleged involvement in the Colour TV scam in 1996; but was later acquitted of all charges. She is the third richest candidate in Tamil Nadu with declared assets worth Rs 113.73 crore. According to a survey by the Association for Democratic Reforms, her assets have increased by over Rs. 62 crores in the last five years. This time Jayalalithaa is wooing voters in R.K. Nagar by listing the infrastructural developments and welfare measures including modernised fishing harbour, Slum Clearance Board tenements, railway overbridge, Amma Kudineer (drinking water) Centre, and classrooms for the Greater Chennai Corporation-run school. She claims to have executed infrastructure projects worth Rs 320 crore and drinking water and drainage schemes worth Rs 23 crore in the constituency. Educationalist and activist Vasanthi Devi of Viduthalai Chiruthaigal Katchi is the candidate of People’s Welfare Front-DMDK alliance in RK Nagar. Dr. Vasanthi Devi is known for her work in the area of education, human rights, gender, and environment. She was the Vice-chancellor of Manonmaniam Sundaranar University in Tirunelveli from 1992-1998. She has also served as the Chairperson of the Tamil Nadu State Commission for Women from 2002-2005. Promising a politics of change and measures to uproot corruption, she says if elected she will focus on issues including unemployment, pollution, traffic congestion, lack of access to health care, and problems of the fishing community and sanitation workers. Her father P. V. Das had served as Dindigul Municipal Chairman while her uncle C Subramanian is a former Union minister. Shimla Muthuchozan, a lawyer, has been the Convenor (North Chennai) of the legal wing and ‘’propaganda secretary’ of DMK’s women’s wing, and is new to elections. She is the daughter-in-law of former DMK minister S.P. Sarguna Pandian who was elected as MLA from RK Nagar twice. Though a native of Nagercoil, Shimla says she is banking on the community services she has done in the area over the past 10 years. She says that her focus is to ‘improve the quality of life for the residents and promises to complete the construction of the Korukkupet flyover. Tamil Nadu’s first transgender candidate in the Assembly Elections, C. Devi is contesting in the ticket of Naam Tamilar Katchi. She has been the Deputy Secretary of Sarath Kumar’s All India Samathuva Makkal Katchi or AISMK. Devi, a social worker, hails from Salem. She has been working with various NGOs since 2004 for the empowerment of transgender people and tsex workers. She runs an NGO Thaimadi Trust for the homeless which was started in 2009. Devi promises health, quality education, clean drinking water, better employment opportunities, and welfare of the poor. PMK has fielded its women’s wing secretary Agnes F. She says her focus is to improve infrastructure in the constituency. M.N. Raja is the son-in-law of the former AIADMK minister C. Aranganayakam. While campaigning for Raja, Union Power Minister Piyush Goyal had alleged that even basic amenities like drinking water are not available in the CM’s constituency.